Mold in simplistic term is a threat to your happy household. Scientifically, it is a fungus growing in multicellular filaments known as hyphae. And what’s wrong with that? Why should you be afraid? Well, mold is hazardous to your health and at its most destructive form has the power to bring down a building, your home. Therefore, mold treatment is something every home needs, requires. That small dark patch of mold at a damp corner in your home could give your children chronic lung diseases upon constant long-term exposure. As a result of mold exposure, your pets can fall sick, elderly people severely sill and cause severe allergies to all. Having mold in your home is therefore certainly not an option! However, mold spores are present everywhere, in the outdoors and indoors, and it is not scientifically possible to eradicate every last spore. But the amount indoor mold spores can be brought down to a level that is not harmful in any way. And that basically is what mold treatment is all about. If you have damp humid corners at your home, or it is that time of the year when heavy rain and humid weather hits your town, your home is more likely to be susceptible to molds. When discovering mold, many people try to scrape it off by themselves that is dangerous to your health and your home. The right thing to do is always to call a professional for mold treatment. Try to locate all mold patches: If you see one mold patch then there’s a chance there are more. If it’s a rather small one and just a single mold patch, you can clean it with soap or authorized material and take precautions to not cause more mold outbursts. However, in case then you have several patches or a big patch of mold, stay away and call mold inspection professionals. A good way to locate mold is to look for water leakage source. Get ready for a thorough mold inspection: you could have been living with hidden mold since a long time. So, if you have finally spotted some it is time to run a professional mold inspection and find all the sources and hidden molds. Prolonged exposure to mold can be almost close to fatal. Also, professional mold inspectors will come up with a scientific and effective way to treat mold in your household. Try to control the moisture source: As long as there’s water and humidity, chances of more mold formation will be there. So, locating a water leakages or moisture source should be your primary concern. If you can’t manage to fully control the moisture source, then at least try close all water supply till professionals can do it for you. Also, remember to stay out of mold infected area and keep your family members away as well. Severe allergies to many other hazardous effects will appear upon constant exposure to mold.If you think you have a mold problem, please call Five Boro Mold Specialist for more information on our NYC mold inspection services. DIY anything sounds so good and looks like it would save you lot of money, doesn’t it? In case of general mold that is present in a small amount, DIY mold removal is ideal. However, in case of severe mold it is quite not the right solution. When you have a less than 10 sq.ft big mold that is non-toxic kind, you can proceed to take care of it on your own. Soap, elbow grease and water can help you get rid of regular non-toxic mold that isn’t yet spread wide enough. If the mold is stubborn, make a solution of 1:9 bleach to water and spray it in the mold area to wipe after a while. Bathrooms that have poor ventilation, tile grout lines and shower ceilings especially. When you have mold larger than 10 sq. ft, you need a professionals to handle it. Black mold is one of the most commonly toxic mold in household. How to tell if you can get rid of mold yourself or need a professional? It’s not that hard! Mold is not something pleasant or something you want to foster in your home. The image of reproducing spores on walls, counters and wood trim makes you cringe. But, that’s not all. Mold can actually be very harmful to you health as well, and not just because of allergies, it causes chronic lung issues overtime as well. And when the mold is a big one, you have musty smell and unpleasant air in your home, you need professional mold removal services! You can either hire specialists or a mold removal company to take care of mold. When you hire a mold remediation services from a company you have more exerts that can solve your mold problem, you also get better quality of work and immediate remediation services, that usually takes a team to perform. In case of severe mold infestation, hiring remediation services from a company rather than a specialist comes quite beneficial. However, certain states compulsorily require hiring of different company/specialist for inspection and different for remediation, in some, it is your choice. Make sure you are hiring certified, insured and credible professional mold removal services above anything else. 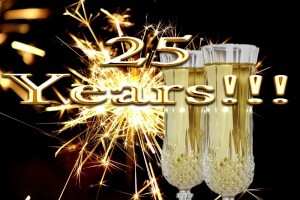 Five Boro Mold Specialist, New York City’s Oldest Mold Removal Company, Announces 26th Business Anniversary. Five Boro Mold Specialist, an esteemed NYC environmental services contractor that specializes in mold inspection and mold removal services, celebrates 25 years in business. Over the years, Five Boro Mold Specialist has established themselves as a pioneer, lobbyist, and leader with in the New York City environmental industries, contributing on many fronts to substantially ridding New York City of hazardous environmental conditions to the likes of mold, asbestos, lead, and radon. -Bringing attention to the environmental services industry in NYC by means of innovation with their official NYC mold inspection reporting system. – Created reporting software for his NYC mold inspections and mold removal business, of which has been adopted and considered industry standard by property management companies, insurance companies, and even the court systems . – Continuous efforts pertaining to more regulation for NYC mold remediation protocols and monitoring of NYC mold removal contractors. -Championed Hurricane Sandy by means of mass media exposure highlighting the severe hazards that lay ahead of the initial devastation and flooding left by the Superstorm. Five Boro Mold Specialist attracted more notoriety and action from officials, organizations, and associations which directly contributed to a much faster and larger response in terms of assisting New Yorker”s with healthier living conditions. -Created a fund for low income families that needed emergency assistance with mold removal stemmed from Hurricane Sandy flooding. Five Boro Mold Specialist Inc., a New York City mold inspection, mold testing, and mold removal company in NYC, has been serving the NYC metropolitan area for over 25 years. Specializing in non invasive high tech mold inspections, “conflict free” mold testing, and rapid mold removal services. Five Boro Mold Specialist Inc.